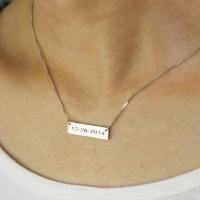 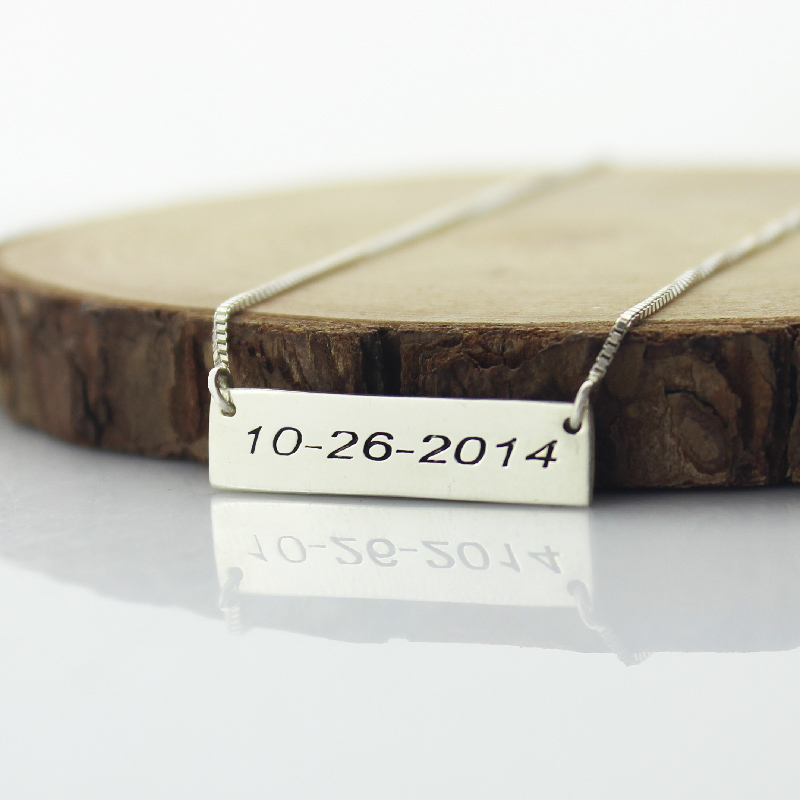 Personalized Sterling Silver Date Bar Necklace - Use this personalized bar necklace with engraving the special date to celebrate the important time of you! 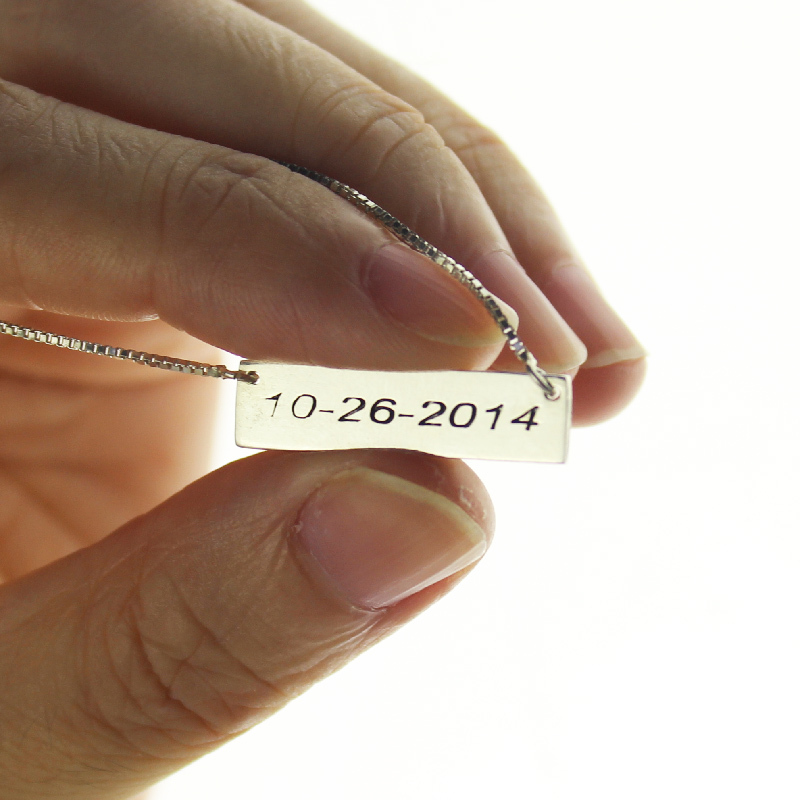 Celebrity Custom special date bar necklace charm and gorgeous to your loved one. 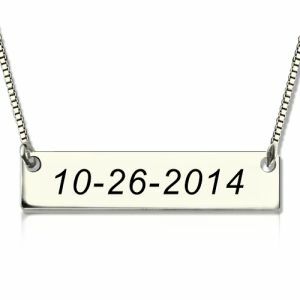 And it's perfect for a engagement gift, bridal shower, Valentine's Day gift, Anniversary dates, wedding dates, birth dates. 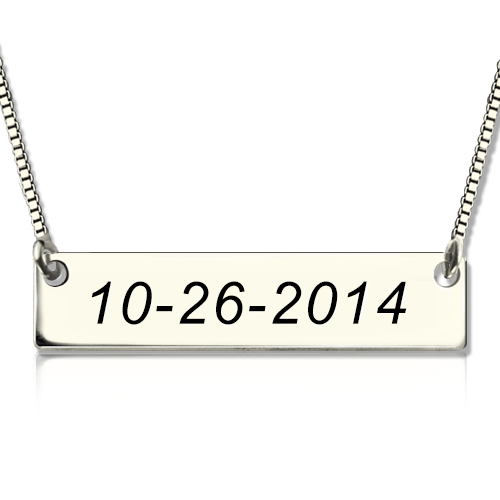 Can not miss out bar collection!